The certification-based Fair Trade initiative has been steadily growing during the last two decades. While many scholars have analyzed its main characteristics and developments, only a few have assessed it against a concept of justice. And those exceptional cases have only focused on distributive justice, proving unable to grasp the important ethical elements that Fair Trade integrates in its project. 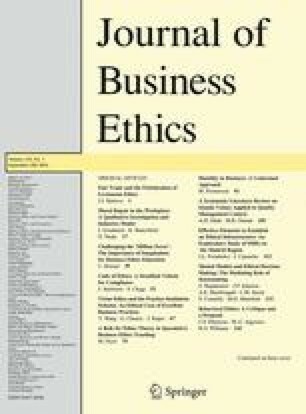 In reaction to this, this article intends to critically examine what the Fair Trade movement proposes to be ‘fair’ by resorting to the thought of the French philosopher Emmanuel Lévinas. To accomplish this goal, a new understanding of his conception of justice is presented, one that seeks to overcome the limitations that the two most common interpretations in the literature suffer. The idea of Lévinas’ ‘dialectics of justice’ is used to discuss Fair Trade’s relation of alterity, its appropriation of the notion of ‘face’ and its commitment to and responsibility for marginalized producers and workers. This analysis shows that Fair Trade operates with what could be described as a fetishized understanding of Levinasian ethics that justifies a deeply unjust praxis. Special thanks to Andrés Matta without whose initial guidance and encouragement this article would not have been possible. Some of the ideas contained here were originally discussed with Lorena Torres Faba, to whom I am very grateful. Additionally, this article benefited from the comments and suggestions made by Hubert Buch-Hansen, Stefano Ponte, Mike Goodman, Dzmitry Bartalevich and Ida Lunde Jørgensen. World Fair Trade Organization, & Fairtrade Labelling Organizations. (2009). A charter of fair trade values. Retrieved from http://www.fairtrade.net/fileadmin/user_upload/content/2009/about_us/documents/Fair_Trade_Charter.pdf. Accessed 12 June 2013.